Architecture: Workplace health and wellbeing: can greater design participation provide a cure? Design for Health illustrates the history of the development of design for health, the various design disciplines and domains to which design has contributed. This chapter looks at the workplace as at microcosm of society that provides opportunities for intervention and investigate the key drivers of organisational innovation and wellbeing: workplace, meaning, relationships. An exploratory data and analysis uncover organisational and workplace design factors that influence employee wellness and how the design of workplaces connects to health outcomes. 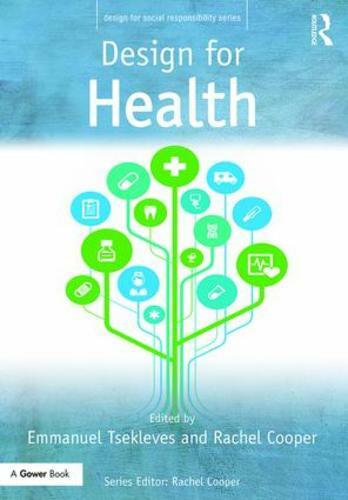 The chapter looks at current initiatives to improve health and wellbeing in the office workplace, against the background of a loss of productivity and a rise in incidences of stress, depression and burnout. It explores giving employees a greater sense of control over their work environment through participation in the design of their workspace, and describes a UK research study which makes a link between participatory design activities and improved levels of mental wellbeing. A conceptual model is presented which suggests that better health and wellbeing can be achieved in the office workplace by aligning organisational purpose more closely with both the functional and psychological needs of the individual. Co-design is advocated as a way to improve employee belonging and wellbeing despite the relative unfamiliarity of the concept in the workplace.